ASTRAL Nirvana Hotel is a part of ASTRAL HOTELS in Eilat and includes 80 luxuries suites with one or two bedrooms and a living room. The guests at the hotel will receive one marine activity during the vacation including a kayak or pedal boat ride no extra charge. 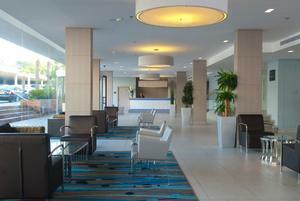 The hotel may require approval to debit credit card to prepay. All rooms are equipped with: refrigerator, kitchen (with no cooking ability), dining room, TV, radio, telephone, bathroom and full air conditioning. 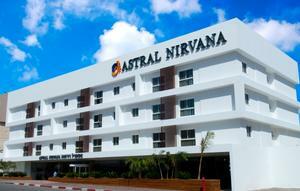 ASTRAL Nirvana hotel is located in the center of Eilat, a five minutes walk from the beach, and nearby the shopping and recreation centers of Eilat.